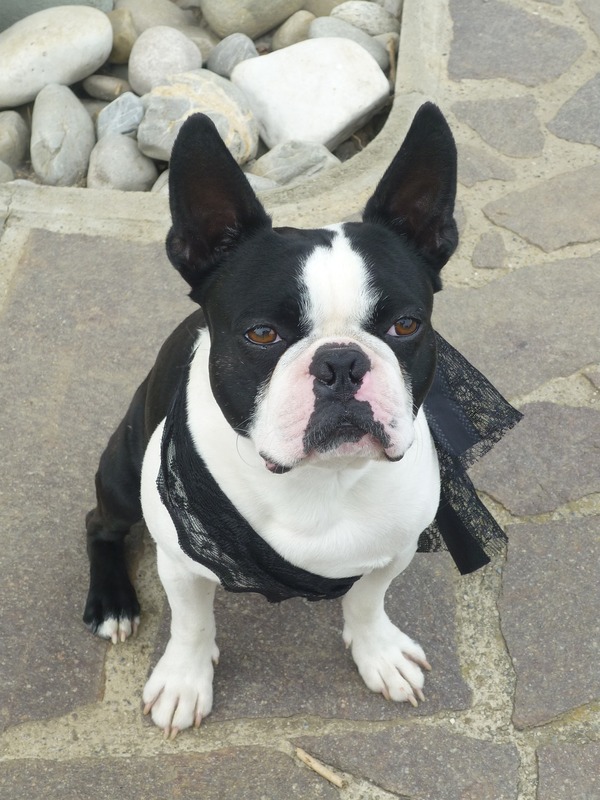 Known as the “American Gentleman,” the Boston Terrier breed sports tuxedo-like markings and a friendly demeanor. With an intelligence and willingness to cooperate, this ideal house pet is easy to train but has a tendency to have a protective side. (Not the worst thing ever, right?). To keep this breed healthy and happy, Bostons need a nutritious, protein-packed diet. 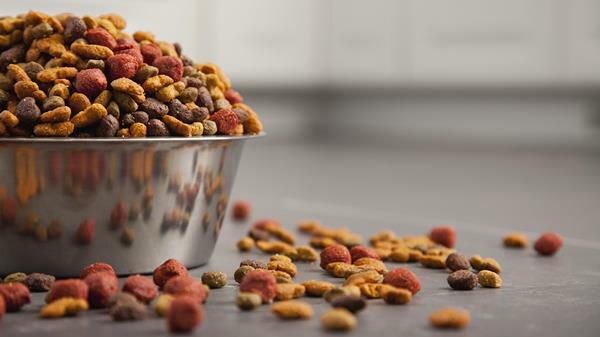 From kibbles to limited ingredient diets, to freeze-dried options, the dog food world is a tough one to navigate. Not sure where to start? We’ll make it easy for you. 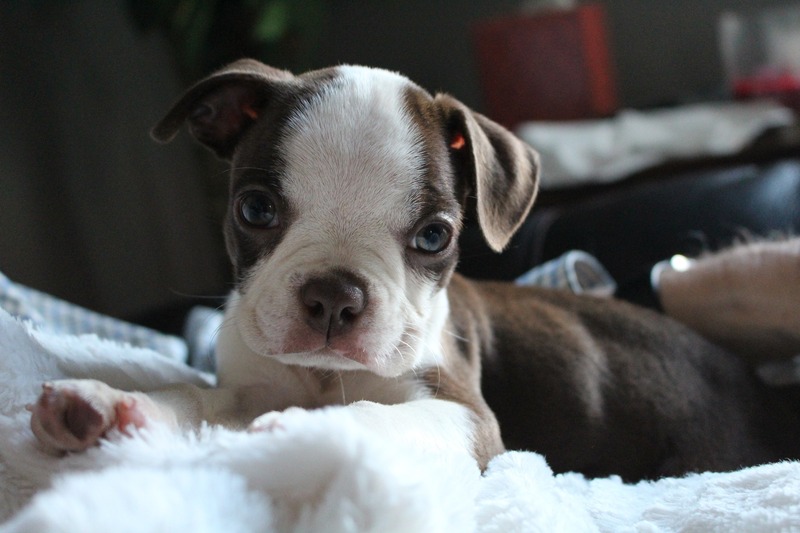 Take a look at our recommendations for your Boston Terrier pup. When determining the right diet for your Boston Terrier, consider factors like his size, age, metabolism, and activity level – all of which impact how many daily calories he should consume. An average Boston Terrier weighs about 20 pounds and is 15 to 17 inches tall (males are typically heavier and larger in size than females). As recommended by the National Research Council of the National Academies, a dog of this size should consume about 660 calories a day, along with regular exercise, while a Boston Terrier puppy that weighs 10 pounds needs about 436 calories per day. Depending on the size of your Boston Terrier, you can opt to feed him a food made for small breeds or medium-sized breeds. Puppy foods formulated for small breeds are often a good choice for Boston Terriers since they provide the calories, vitamins, and minerals needed for this early growth. You can switch to an adult formula when your dog reaches about 90 percent of his adult size. Feeding your Boston Terrier can feel like a guessing game, right? There isn’t a one-size-fits-all diet, but generally, this breed does well with grain-free kibble (rather than canned food). Their relatively short jaws and crooked teeth make ’em adorable – but hinder their ability to chew – so smaller kibble is the way to go. And while the breed is small – a Boston Terrier’s appetite is mighty. 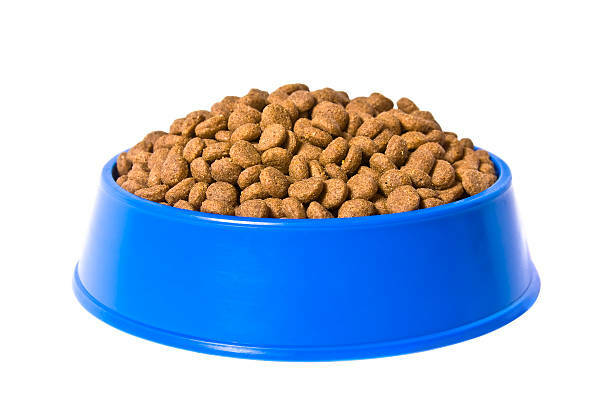 We recommend measuring food, dividing meals, and monitoring how much your dog is eating rather than free feeding him. This will lower the risk of him overeating and becoming obese – an issue that leads to breathing issues and other serious health problems. Generally, adult Bostons (one year and older) eat two meals per day, while puppies should consume three to four meals. 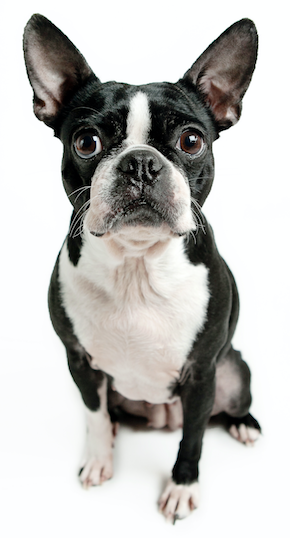 Boston Terriers – like all dogs – thrive off a diet rich in protein and healthy fat. 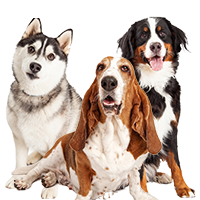 However, there are other ingredients offered in commercial dog foods that offer additional health benefits like joint support, brain and eye development, and immune system support. 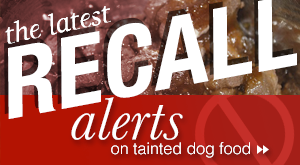 Keep an eye out for the following ingredients as you browse for your pup’s formula. Protein – The primary nutrient in your dog’s food should be protein, whether it’s whole chicken, beef, fish, lamb – or a meat meal (a concentrated form of meat in which the moisture has been removed). Two or three of these meat proteins should be in the first several ingredients listed. And while plant protein is included in many commercial dog foods, meat protein is much easier for your pup to digest. So, if your fancy-pants bag of kibble offers lentils or peas, just make sure the percentage of meat protein is higher than that of plants. Fat – Another energy-giving nutrient in your dog’s food is fat, providing omega-3 fatty acids for healthy skin and coat, as well as DHA for brain and eye development. Carbohydrates – While your dog doesn’t need carbs in his life, they are perfectly digestible and a great source of energy. We love sweet potatoes as a low-glycemic alternate source of carbs! Fruits & Vegetables – Fruits and veggies are other non-necessary ingredients in your dog’s diet (but you don’t have to tell him that!). 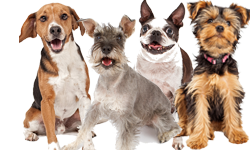 However, they offer vitamins, minerals, additional protein, and antioxidants for your pup. Worried about allergies? Food allergies and sensitivities can be avoided by opting for a food free of common allergens like beef, dairy products, chicken, lamb, fish, chicken eggs, corn, wheat, and soy. Those teeny-tiny paws and wide, innocent eyes don’t last forever! Small breed pups like the Boston Terrier grow quickly – so they need a high-calorie, balanced puppy formula or All Life Stage food. 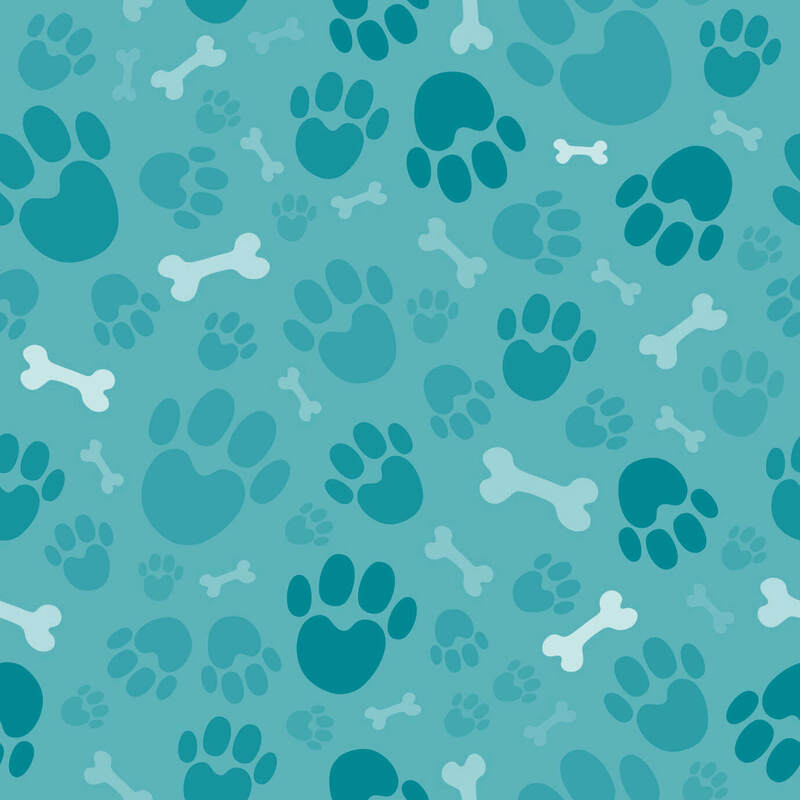 Note: Regardless of the formula you choose, your young pup’s food needs to have the proper calcium to phosphorus ratio: about 1.2 parts calcium to 1-part phosphorus. This ratio properly nourishes your puppy’s body and allows him to grow at a steady pace. The following puppy formulas are balanced and nutritionally adequate for a growing and developing Boston Terrier. Happy shopping! 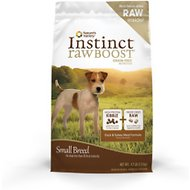 If you’re looking for a holistic, limited ingredient puppy food, this formula is amazing. 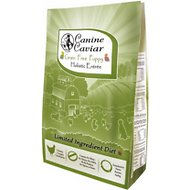 Canine Caviar Limited Ingredient Diet Puppy is free of corn, wheat, soy, grain, gluten, and GMO. It offers the proper calcium level for puppies and includes meat that is hormone-free, pesticide-free, and antibiotic-free. Canine Caviar also has several other formulas so you can rotate the proteins. 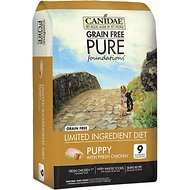 Canidae Grain Free Pure Foundations Puppy Formula is a limited ingredient food with nine ingredients plus vitamins and minerals. It’s grain-free with probiotics to help digestion; antioxidants for a healthy immune system; and omega 3 and 6 to support healthy skin and a beautiful coat. The recipe is supposed to be especially good for puppies with sensitive digestion. Keep in mind, this is a very nutrient-dense, high-calorie food, so you shouldn’t need to feed your pup as much of it. In the blink of an eye, your Boston Terrier pup is full grown and ready to explore the world – or at least more than his playpen. 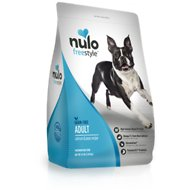 The following dog foods were carefully selected for the Boston Terrier breed. Keep in mind, you may have to try more than one food to find which one is best for your dog, but these formulas are highly acclaimed and provide the best ingredients on the market. Note: These foods are made without corn, wheat, and soy unless stated otherwise. 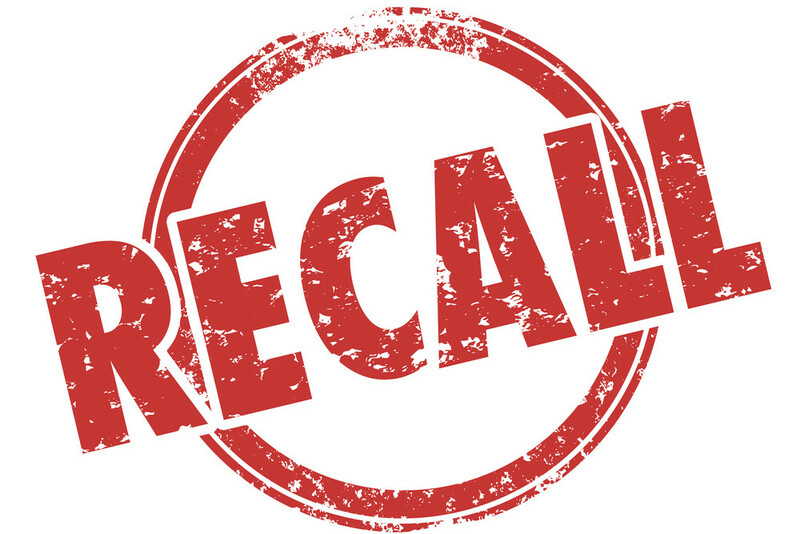 Nulo foods have a high amount of animal-based protein (80 to 84 percent) and are one of the few companies using probiotics that seem to actually survive the manufacturing process (check their site to read more). Their low carb and low-glycemic foods do not use corn, wheat, soy, potatoes, tapioca, glutens, or GMO’s. And, there are no poultry or meat by-products, artificial colors, flavors, or preservatives. 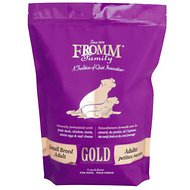 Fromm Small Breed dog food is a popular choice for owners on a budget. 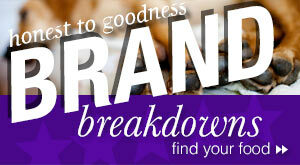 You get a good quality food for much less than other premium small breed dog foods. You’ll actually get a little more protein content out of the meal as it’s a condensed and concentrated version of the product. Fromm is also made in small batches and makes an effort to remove wheat from their products. This Merrick all-life-stage formula is made from 70 percent meat and fish-sourced ingredients and 30 percent fresh produce. These ingredients don’t include any by-products or artificial preservatives. They also use local growers from Texas (no ingredients from China). If you’re tempted to see if your Boston Terrier likes the taste of a raw diet, try feeding him Nature’s Variety Instinct. The small, easy-to-chew kibble has a freeze-dried raw coating, and the food is grain and gluten-free with balanced protein and fat percentages. 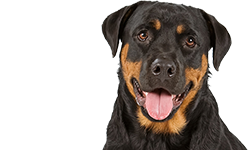 Additional benefits include glucosamine and chondroitin for healthy joints; omega fatty acids for healthy skin and a glossy coat; and antioxidants for a healthy immune system. 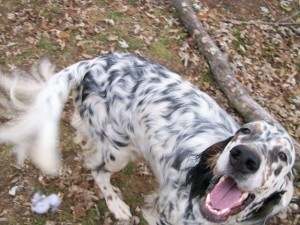 Your pup was once lively, ready to take on the world and chase down any squirrel or bird that came his way. Now, he’d rather bask under the sun or curl up for a long afternoon nap. As your Boston Terrier ages, he might experience something similar, along with joint problems or weight gain. The food you feed your senior Boston Terrier won’t prevent all the side effects of aging, but it can sure help. Generally, we recommend a lower calorie dog food with plenty of protein to ensure he’s keeping a healthy weight without losing too much muscle. Note: As long as your older dog doesn’t have any problems with his kidneys or with phosphorus, there is no reason to avoid higher protein levels. Check out the formulas we love for older Bostons. 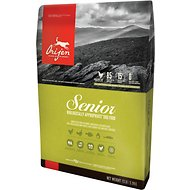 Orijen Senior provides excellent-quality protein for your older Boston Terrier to help maintain his muscle strength. 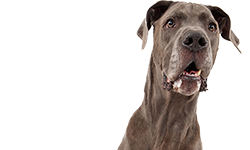 Made of 85 percent poultry, fish, and eggs, the food is low-glycemic and has low carbs (only 19 percent) to help keep your dog’s blood sugar steady. This formula also contains natural sources of glucosamine and chondroitin to support joint health. 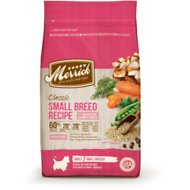 This is a grain-free food so it should be helpful for Boston Terriers with gassiness, digestive problems, or food allergies. 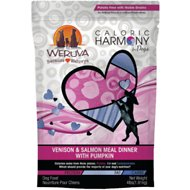 Another food to consider is Weruva’s Caloric Harmony Venison and Salmon Meal Dinner with Pumpkin. This formula (and several others in this product line) is free of potatoes, corn, and wheat. It’s easy to digest, low-glycemic, and great for gut motility. The grass-fed venison provides senior dogs with top-notch protein without the extra fat. Dare we say it: the Boston Terrier is the perfect family pet. Low-maintenance, loving, and energetic – it’s no wonder this breed is one of the most popular household pets. 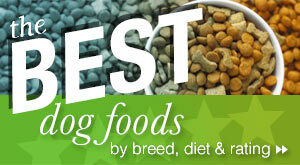 And now that you’ve found the best dog foods for the Boston Terrier, what’s next? Chew toys, bones, or homemade dog treats? We’ve got you covered there, too. 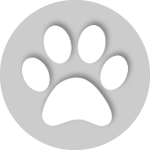 Check out these homemade dog food recipes.